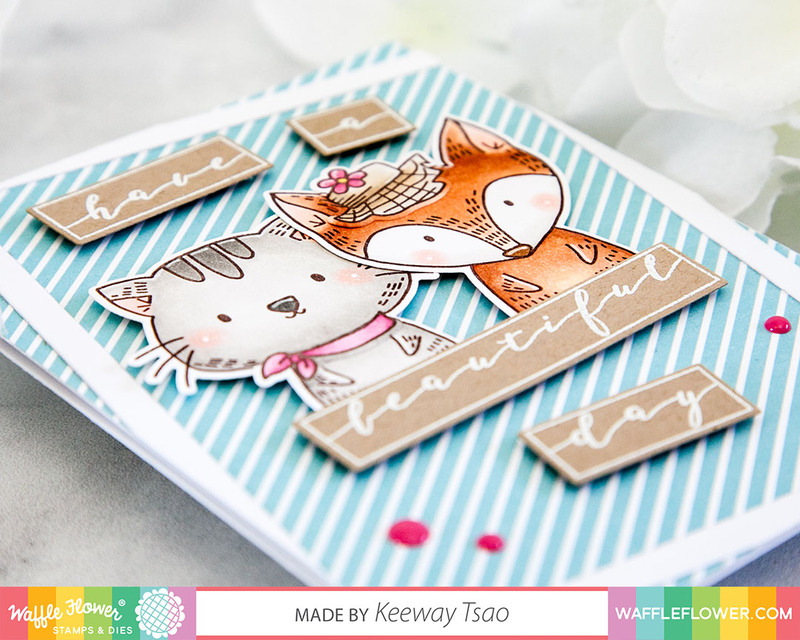 Another sweet and unique Waffle Flower set from the recent February release is the Labeled Greetings set. 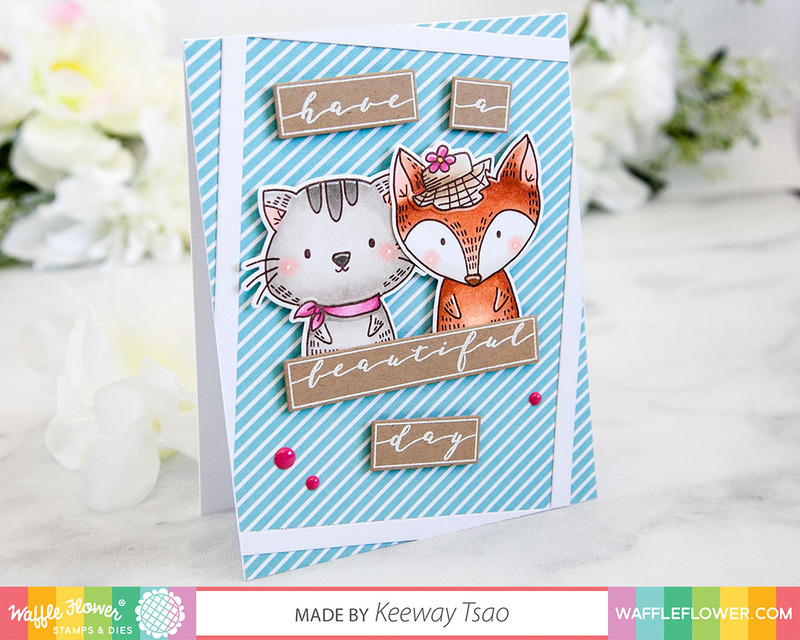 The interesting boxed frame around the beautiful script sentiment makes them strong statements, such that they can standalone and be the focal point of your card, or compliment your card. 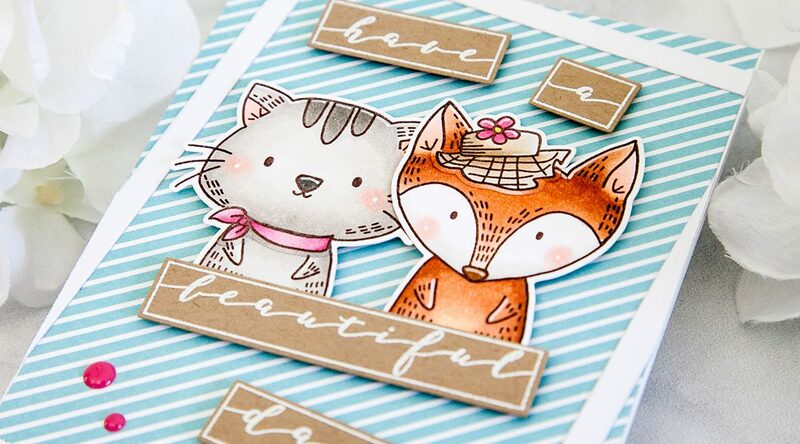 The sentiment is the focal point of my card today, and the cute cat and fox images from the Be Her set compliment it! The images were stamped in a dark brown hybrid ink and colored with copic markers. I have chosen to do some masking when stamping their accessories so that they paired more seamlessly as worn objects. I really love that hat on the fox. It is so cute and reminds me of those beautiful hats people where to tea parties or the horse race tracks! 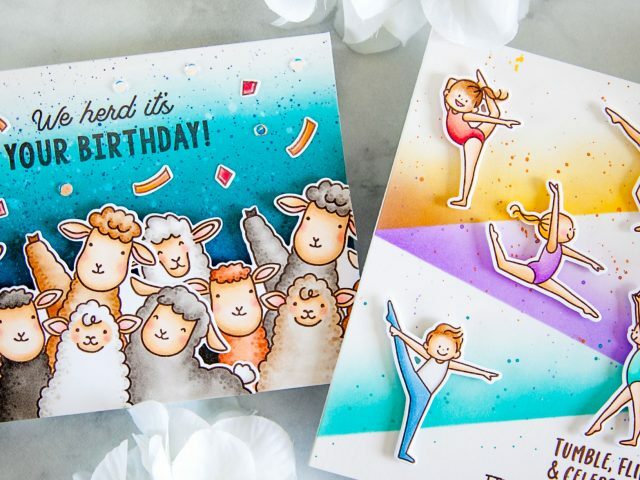 The images were die cut with their matching dies. The sentiment from Labeled Greetings was heat embossed in white onto kraft card stock. They were also die cut with the matching dies. I have a thing for the curved edges when die cutting, but as you can probably imagine, you can fussy cut these boxes relatively easy if you opt out of the dies. 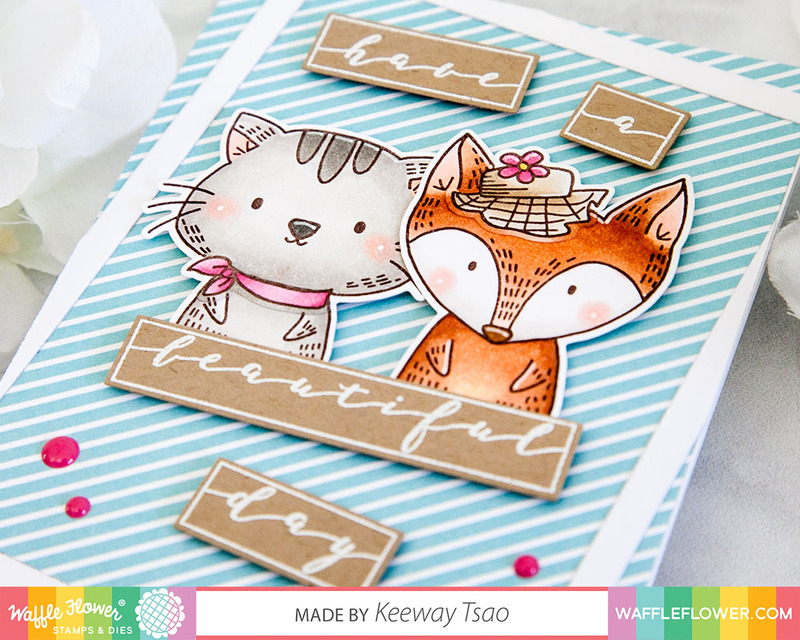 I created a layout that is simple but whimsical! I started with a striped pattern paper as my background. Then, using the Rainbow Panel die, I die cut the white frame, added it to my background at an angle, and trimmed off any off the edge. 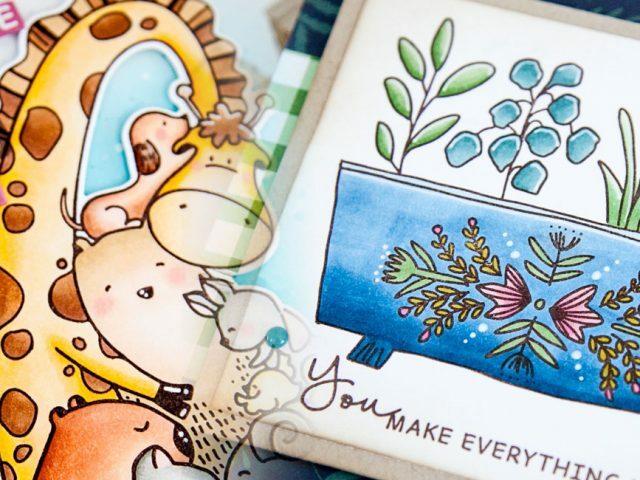 I finished the assembly of the card by adding the sentiment boxes at varying angles and my critters right behind the “beautiful” with foam tape. I also added a few Up & Running Enamel Dots for a little interest. Oh my oh my – love this!